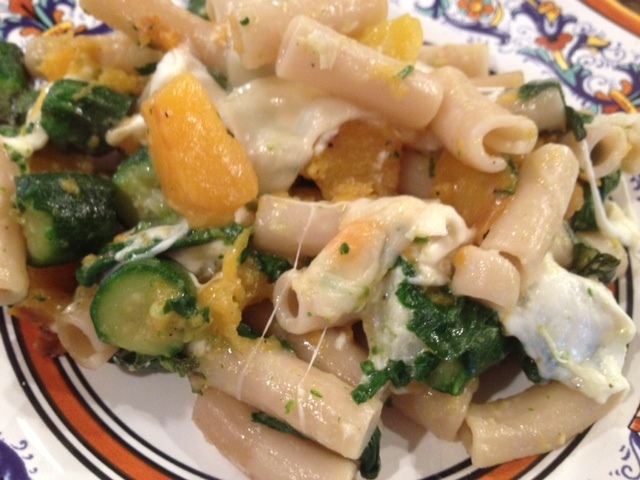 Baked Butternut Squash & Burrata Pasta. 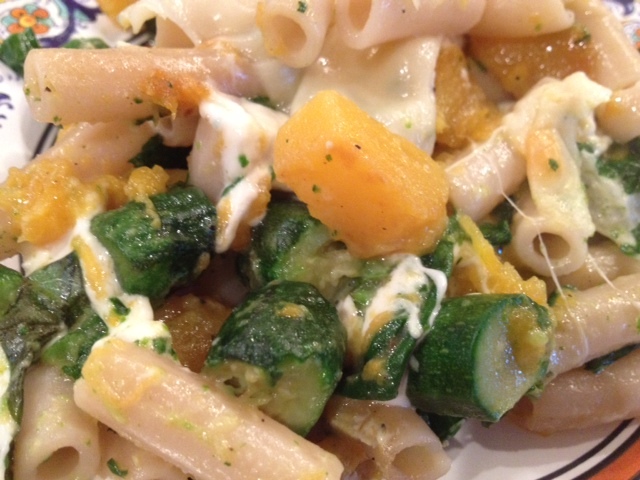 Baked Brown Rice Pasta With Butternut Squash, Baby Zucchini, Spinach & Burrata Mozzarella. 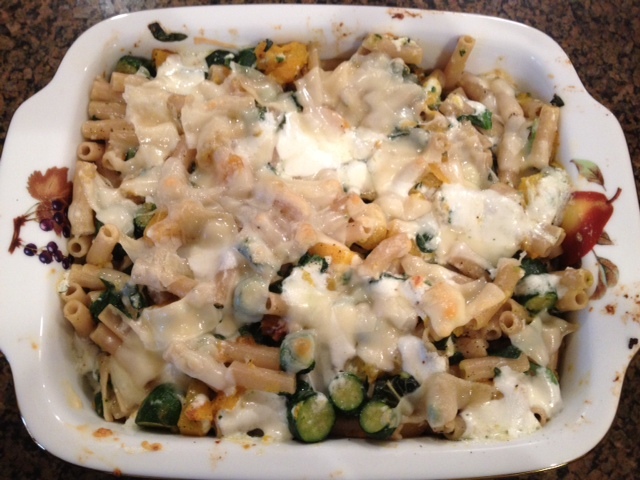 This gluten-free baked pasta is packed with delicious and nutritious veggies. The butternut squash, zucchini and spinach add a subtle earthiness to the dish while the burrata adds a creamy, rich texture. So good! 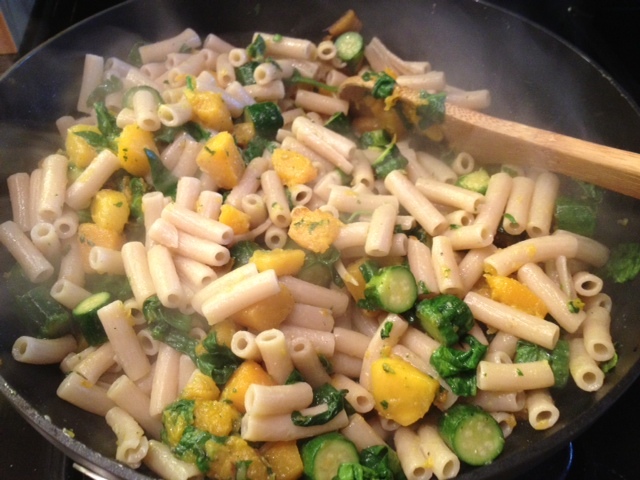 In a large pan on the stove, heat the olive oil on medium heat and add in the butternut squash and zucchini. 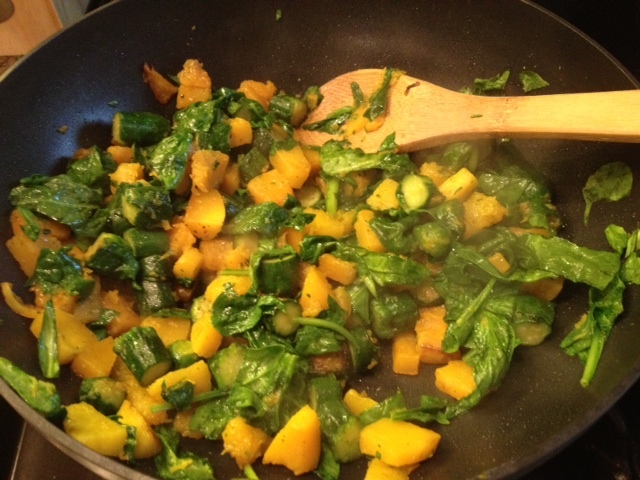 Cook for about 15 minutes, stirring often, and then add in the spinach and cook for another 5 minutes or so. While you’re cooking the vegetables, boil the pasta as directed on the package. After you’ve cooked/drained the pasta, add it into the pan with the vegetables and season with a dash of garlic salt and a generous amount of black pepper. 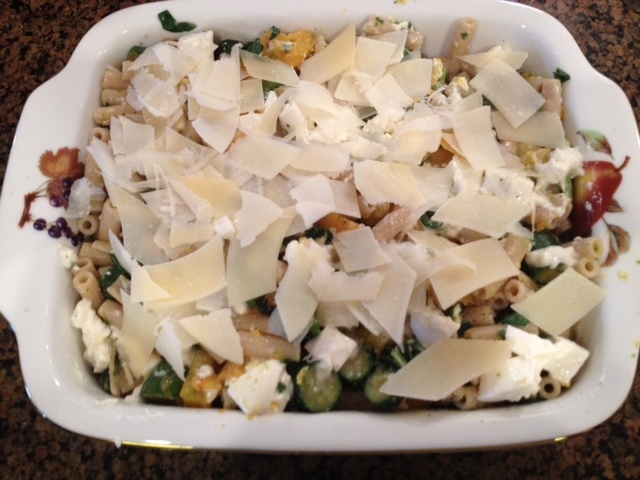 Toss in about 3/4 of the burrata mozzarella and then pour the pasta mixture into a baking dish. 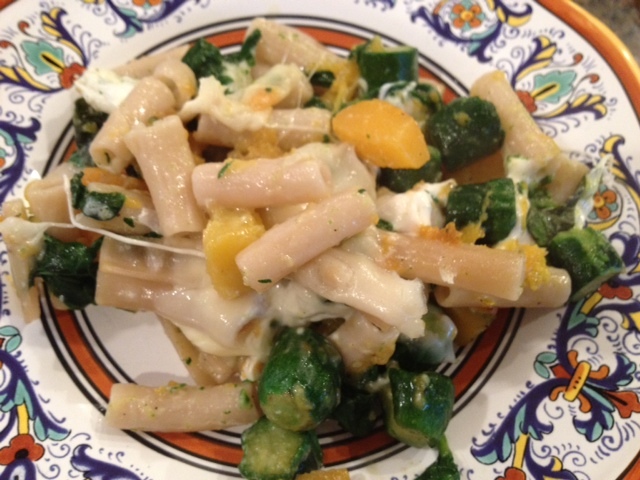 Top the pasta with the remaining burrata and the shaved Parmesan. Bake in a 400 degree oven for about 20 minutes.